Vertigo dizziness can turn your world upside down but there is a chiropractic solution, but it's not adjustment of the cervical spine. "I woke one morning and couldn't get out of bed because the room was spinning around me." Vertigo is the illusion of being in motion when you are at rest; sometimes you feel as though you are spinning or falling, or the world is turning. During severe attacks it may be accompanied by very distressing symptoms such as nausea, vomiting and extreme anxiety, but usually it's mild and irritating more than devastating. There is general medical consensus that drugs should only be used for the first 24 hours, if at all, in the treatment of this condition. The most commonly used medication is stugeron and in ten percent of cases it actually causes the nausea as a side effect. Thereafter patients are encouraged to leave their beds, if it got that bad, and it can be, and start moving; failure to do so limits recovery. A blood pressure test should first be done, and questions about BP medication asked. Ace inhibitors may cause vertigo. Why is there a page on a chiropractic website for what most would consider a medical condition, you may be thinking? Rightly or wrongly, dizziness is a common presenting complaint in the chiropractic office. Both DCs and their patients know that the spinal adjustment may help this very disturbing condition. However, having said this, every chiropractor recognises that this is one of the areas in which she or he should tread particularly warily. Patients suffering from vertigo may well respond poorly to cervical manipulation. Should the vertigo emanate from the inner ear, sudden movements of the head, as occurs during a cervical manipulation, may provoke a bout of vertigo. The world spins, the eyes oscillate and the patient may start vomiting. Most chiropractors have experienced this very disconcerting scenario. Fortunately it's usually a temporary exacerbation. So the treatment of choice is neither drugs nor manipulation of the cervical spine. It's a home remedy for vertigo called the Brandt Daroff exercises and a process known as the Epley manoeuvres; more about both of these lower down on this page. "Vertigo is a sensation, not to be confused with dizziness or lightheadedness, in which the walls appear to be spinning and the environment moving around you when you're stationary, or the feeling you are moving in a stationary environment." In a very large study, where data was collected from nearly thirty thousand chiropractic treatment consultations, it emerged that fainting, dizziness, light headedness were predictors of immediate worsening after chiropractic manipulation. However, overall patients reported 70 to 95 percent immediate improvement in the condition for which they consulted the chiropractor. Thus it makes sense in the case of vertigo dizziness to consider whether other treatment options are available to the chiropractor prior to using cervical facet syndrome manipulation. Vertigo is also less commonly caused by many other conditions such as hypertension, Meniere's disease, multiple sclerosis, posterior brain mass lesions, particularly in the cerebellum, and a lack of blood to the brainstem. 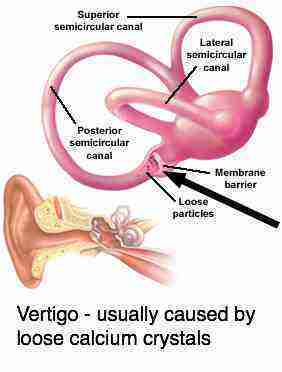 Benign paroxysmal positional vertigo is the most common cause. Drugs have no place in its treatment. It commonly comes on in sudden episodes of vertigo dizziness, perhaps after banging the head, or whiplash, but often for unknown reasons. It may be mild, a sense of uncertainty and an unpleasant feeling of reeling, lasting for a few seconds, and passing over. Or it may be very severe, provoking nausea and even vomiting. Usually it is provoked by very specific movements of the head, most usually turning to one side, extension of the neck, or laterally tilting of the head towards the shoulder. For example, backing a car, turning your head in bed in the morning to look at the clock, or gazing up into the sky can bring on this nasty sensation. An immediate sense of dizziness, apprehension and disequilibrium begins, usually lasting less than a minute. Anyone observing the eyes may notice a rhythmical darting movement called nystagmus. The condition may trouble the patient for years, but usually responds to a simple treatment that can be learned, and repeated at home. It's called the Epley manoeuvres. On a personal note, because I have begun to suffer myself from vertigo, I have taken an particular interest in the subject and attended four courses on the underlying physiology and treatment of BPPV. 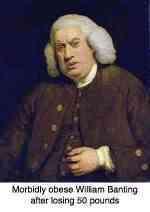 The Epleys are extremely effective; Dr Mendelson is not exaggerating. Firstly some basic anatomy is necessary if you want to grasp what is causing your vertigo dizziness. Five tiny sensory organs are found in each inner ear, enabling the brain to know exactly where the body is in space, even when the eyes are closed or the body is moving. They act as the body's level; every time you move your head, fluid moves through tiny canals called a SCC, bending tiny hairs with an even tinier crystal balanced precariously on its tip. 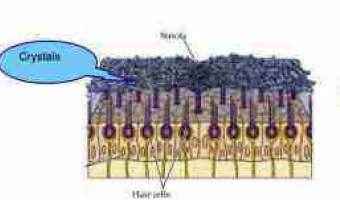 These organs detect the movement of the hairs, sending signals to the brain about movements of the body. Three of these organs are found in the "ampullae" situated in the semi-circular canals, and the other two are found within two organs called the utricle and the saccule . When one of these organs starts to send information that is not consistent with the information from the other organs, or is inconsistent with what your feet or eyes are telling the brain, then vertigo dizziness occurs. The function of these tiny organs is to convey information to the brain so that it knows exactly where your body is in space, without having to use your eyes. 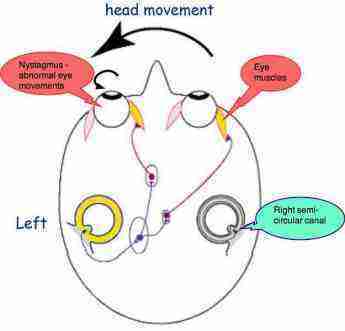 They control and coordinate movements of the eyes when the head is moving. For example, when trying to strike a ball with a baseball bat, it is very important that the eyes remain focused on the ball when your head begins to move during the stroke. This is enabled by these five tiny organs in the inner ear. 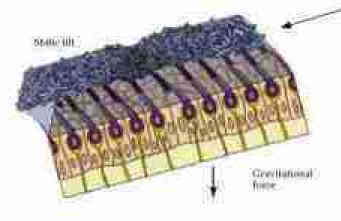 Tilting of the head normally causes the fluid called endolymph to rush through the canals, bending the tiny hairs (called cilia). The crystals embedded in a gel above the hairs may come loose, forming the debris that may obstruct the normal fluid movement in one ear: vertigo dizziness. Notice how, if you turn or tilt your head, a wave is set up in the hairs, each with its little calcium crystal balancing precariously on the end. If it breaks off, it's ends up as debris in the semicircular canal. If you suffer from debris in those semi-circular canals (those crystals may also come loose after a bang on the head), not only will you sometimes experience vertigo dizziness as the debris impedes the free flow of fluid, but you will miss the ball! 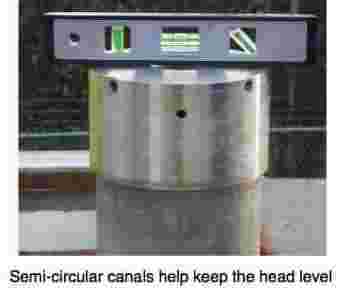 Turning the head to the left (as when moving to strike a ball) is detected by the semi-circular canals. Simultaneously, a neurological message is sent to the muscles of the eyes, turning the eyes in tandem to the right and enabling them to remain focused on the ball. Should the messages from the right and left inner ear organs not be consistent with each other, then the astute observer will notice abnormal movements of the eye called nystagmus, usually lasting only a few seconds. You will experience it as a wild spinning of the planet. Vertigo. How would you, or your chiropractor for that matter, know if you are suffering from Benign Paroxysmal Positional Vertigo, or about to have a stroke? There is a simple manoeuvre called the Hallpike Dix test. It should be stressed, as with all orthopaedic and neurological testing, that artful testing can and should only be done by an experienced practitioner. The aim of these tests is to provoke your vertigo. The Hallpike Dix test can make you extremely giddy. In fact, hope that it does, because then you have highly and simply treatable BPPV. If you are game, a simple version is to lie on your back with your head and neck extended. Turn your head slowly to the left and wait for 60 seconds. Keeping your head extended return slowly to the midline. Now turn slowly to the right, still with head and neck extended. 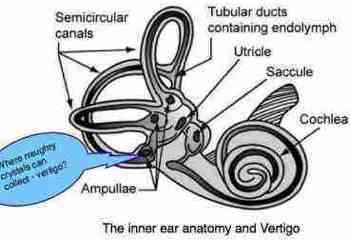 If you experience vertigo dizziness then you probably have BPPV, and there is a very simple treatment for the condition - clearing the debris out of the semi-circular canals. This test is usually done in a more vigorous manner which will not be described here - it should only be done by an experienced practitioner. If you have neck pain, or have had neck surgery, this test should NOT be done. Brandt Daroff exercises are a home rememdy that may work for your vertigo dizziness. The treatment of vertigo dizziness is simple, but must be done in a precise manner, determined by which canal is filled with debris. Thus it can only be done after careful testing. Having said that 92% of the time, the posterior semi-circular canal is the villain of the peace. You will feel uncomfortable, and occasionally awful after the procedure. You should not drive yourself home. However, it is almost always successful, often immediately, usually within a week. While the treatment will not be described here, your practitioner will teach you how to do it at home. I can almost guarantee 100% success if it is done correctly. At Chiropractic Tips you will find a well known exercise routine, called the Brandt Daroff Habituation Exercises, that usually help in the home treatment of vertigo dizziness. They are a good place to start if the test done above makes you dizzy. Hier bevindt u zich in het NL de Brandt Daroff oefening voor duizeligheid. "But most commonly, in perhaps 70% of all cases, vertigo is due to BPPV and, believe it or not, can be alleviated in just a few minutes in a skilled doctor's office without the need for any medication or advanced MRIs." Nearly one third of migraine patients report experiencing vertigo dizziness. This may occur during the aura before the headache, during the headache, or in fact in between headache attacks. The vertigo dizziness may be severe, causing patients to actually fall, or least affect the way they walk. It is also often associated with motion sickness, sailing, and traveling as a passenger in a car, and even walking or climbing stairs. During an attack the eyes flick to the side in a motion called nystagmus, confirming that the headache has to do with the inner ear, and it's neurological pathway. Hence the name vestibular migraine. Migraine is very common, affecting one in five women, but much less in men. There may be an aura of nausea, and sensitivity to light and noise, but this is not necessarily so. The headache is described as pulsating, on one side of the head only and because of the nausea may be described as a sick headache. Sometimes there is also ringing in the ears. The best treatment for migraine headache is to attempt to find the cause. It could be a subluxation in the neck or a jaw joint malfunction, exercise, hunger and a long list of foods, or smoking. For it to be diagnosed as a vestibular migraine it must affect the inner balance mechanism too and that means vertigo and the horrible sick feeling of a spinning world. Once again, Epley manoeuvres and perhaps at home the Brandt Daroff habituation exercises. And then addressing the neck, the jaw joint, a rotten impacted tooth, a chronic sinus infection; whatever your chiropractor finds. Referral to another professional for support is common. For more information on the foods associated with migraine, click here. Diet headache migraine. Vertigo may also be the first herald of an impending stroke. If you have high blood pressure, are a smoker, or your cholesterol is significantly raised then it's important for your doctor to rule out a stroke or TIA (temporary ischemic attack). Brain tumours and Multiple Sclerosis MS are other causes of central vertigo. However, central vertigo is much less common than peripheral vertigo which does not occur in the brain itself, but in the inner ear, 70% of the time BPPV. BPPV may be helped by these five little exercises if you have the chronic repetitive sort; not to be done in the acute phase of vertigo dizziness. Regularly when you stand up, wait a few seconds, and the turn in a circle, first one way, then the other... and then go on your way. Simple, it works. Choose a fixed point on the wall, or your outstretched finger, then slowly turn your head left, and then right, WHILST KEEPING YOUR EYES FIRMLY FIXED ON THE FIXED POINT. More difficult. It works too. Walk slowly backwards and forwards, turning your head rhythmically left and right at the same time. Walk slowly backwards and forwards, repeated looking up and down. Home remedy for vertigo; The Brandt Daroff exercises. PS. Warn the family that you are about to do your exercises, otherwise they may think...! Not a cheerful thought, but an attack of vertigo dizziness - usually BPPV - is the frequent cause of a fall in the elderly. And should you strike your head on a hard or sharp object... it is surprisingly the most common cause of sudden death in the elderly. If granny is complaining, remember that in 70 percent of cases of vertigo there's a very simple treatment available. Don't wait for her to fall. Here's a vertigo case file for your interest. Should your chiropractor not be familiar with the Hallpike Dix test and the Epley manoeuvres for BPPV, s/he can sign up for two short e-mail courses. It's free I believe. It's only for chiropractors. "Motion sickness medication made me sleepy and really knocked me about. But after six weeks of misery, after only two sessions of the Epley maneouvres, my head lifted up and I've been wonderful ever since." It's a little known fact that most of the elderly die from falling backwards and hitting their heads. Hence they tend to walk in a stooped manner. These simple exercises, done daily, could save your life. Literally. If you found this page helpful, then you'll certainly love my Bernard Preston books. Like how Bernie ended up on national television in Holland doing a Epley manoeuvre that went horribly wrong! They've been described as funny and healthful. 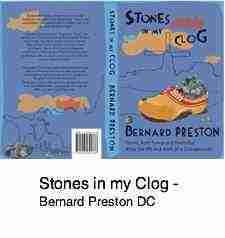 Stones in my Clog. Just $2.99 on your smartphone or tablet. Go to STROKE CHIROPRACTIC RESEARCH page; can manipulation cause a stroke? Increased numb and painful tingling and vertigo since a car accident.